The emerging countries and the challenges they set to international system have been one of the major themes in the International Relations field. One of the key questions to grasp these challenges is understand the process of leadership and the way these countries are unfolding a new international dynamics. In this process, China is an emblematic actor, which is trying to transform power resources into regional leadership. Although Chinese efforts through China-ASEAN Free Trade Agreement and East Asia Summit 2005, there is no Sino-centric Regional Order in the Southern Asia. The position of China in Southeast Asian region requires an assessment about its inter-subjective interaction. Thus, to assess China’s leading role in the international politics it is necessary combine theoretical lenses and comprehend leadership as a process. Understand this action through an in-depth framework is the main purpose of the article “International leadership as a process, the case of China in Southeast Asia”, which was published by professor Truong-Minh Vu from Vietnam National University in Ho-Chi-Minh City, in the issue 1/2017 of the Revista Brasileira de Política Internacional (Vol. 60, N. 1). 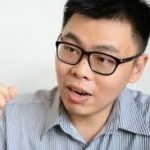 Professor Minh Vu was interviewed by Tiago Tasca, member of the editorial board of the RBPI, about the formulations developed in his article and about his own opinion about topics related to this research. 1. In your paper, you developed a systematic and in-depth framework of emerging powers’ leadership project, which is designed to understand the challenges and opportunities that emerging powers are facing in the process of become an international leader. In your opinion, what are the main contributions that this framework brings to International Relations studies? Firstly, my work considers the relationship between power and leadership systematically and it follows the mainstream discussion of international relations theory. Therefore, the concept of leadership that is not only understood merely as a position, or accumulation of resources, but also it was put into a process with different stages and different interactions between potential leaders and followers. Secondly, I used this framework to study the process of Chinese leadership in Southeast Asia. From my understanding, there haven’t been any research so far which covered the topic through multiple case study in both traditional security, and non-traditional security area. 2. Regarding the leadership as a process, you classify Chinese action in a spectrum in order to understand its leadership projects. Your framework could also analyse others emerging powers’ leadership projects. So, according to your framework and your opinion, how do you see the process of leadership in South America? I do not have opportunity to study in detail about the role of Brazil in South America. I rely on some researches and assessment of colleagues, especially some studies in RBPI and in GIGA Institute (Hamburg, Germany). According to this assessment, the Brazil has lots of resources and chances to become a regional leader in South America. Brazil has also showed their leadership will and had specific actions through some projects in many different fields. Yet the response from neighboring countries toward the leadership projects of Brazil are not clear. The typical case here is for example the Southern Common Market project Mercosur. The difficulties of economic situation and domestic politics in Brazil under President Dilma Rousseff and his successor Michel Temer can make the process more difficult. Especially at the time that Brazil needs to mobilize more resources and to pursue a policy throughout the initial stage. 3. In the long term, do you believe that China will be able to exclude other great powers like Japan and USA and build up a strong network connecting countries in the region? How do you see the international system willingness and responses to China’s leadership projects? The ability that China can exclude all external powers or other regional powers to build their own system will depend on the two factors. Firstly it is the features of the leader’s projects of China and their neighbor’s acceptance with that project. Secondly, it is the leader project that other powers such as the US or Japan are trying to promote in Southeast Asia region. From the perspective of small and medium countries in Southeast Asia, they tend to take advantage of the benefits of cooperation with all powers and try to minimize the negative impacts. Importantly, they ought to have an exit option, or further, they need to build a balanced structure in the region in maximizing the benefits which achieving from great powers. Hence, we still have to wait to see the how they considerate the establishment of the leader projects in the region such as the Trans-Pacific Partnership (TPP), China’s “One Belt, One Road” (OBOR) or Regional Comprehensive Economic Partnership (RCEP). 4. Recently, the disputes around the South China Sea shook the regional geopolitics, and the Arbitral Tribunal Constituted under United Nations Convention on the Law of the Sea (UNCLOS) did not recognize the artificial islands built by China as legitimate. Do you believe that these Chinese regional ambitions could undermine its regional support to build a China-led system? In my research, I also pointed out that there’re lots of ways for rising power to build its own system of leadership. So, I will answer the question throughout two viewpoints. The ambition of the Chinese in region in general and in the South China Sea in particular are implemented through leader projects alike. And with the type of the leadership projects, how it will motivate claimant’s countries’ behavior in the region and countries with shared interests in the South China Sea. From the two viewpoints, we can recognize an order or a China-led system is being built in the South China Sea more fragile than we think. 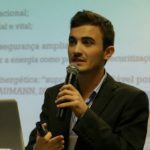 Tiago Tasca is Editorial Assistant of the Brazilian Journal of International Politics – RBPI and Master in International Relations by the University of Brasília. His research interests are related to the energies in general and, particularly, bioenergy, in international politics. Antônio Carlos Lessa is a professor at the Institute of International Relations at the University of Brasília and editor-in-chief of the Brazilian Journal of International Policy (RBPI). PhD in History from the University of Brasilia, he developed postdoctoral studies in France (2008) and the United States (2015-2016). 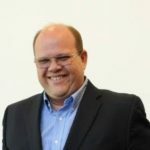 Researcher of the National Council for Scientific and Technological Development – CNPq, he has been editor-in-chief of the Brazilian Journal of International Policy since 2004.